This is one of the few days between January, 1911 and December, 1914 when Grandma wrote nothing. The previous day she wrote that a friend, Margaret G., was visiting and planned to stay overnight. Maybe the girls stayed up all night talking and Grandma was too tired to write anything. Since there’s no diary entry to guide the direction this post takes, I’ll share a recipe for an old-time winter food—Celery Chowder. It’s an excellent celery soup and I make it one or twice each winter. Melt butter in large saucepan; add onion and cook until tender. Add chopped celery and potatoes; just barely cover with water. Bring to a boil and reduce heat; then simmer (15-20 minutes) until vegetables are soft. Add milk and chopped eggs; season with salt and pepper. Reheat until hot; serve. Posted on January 29, 2013 August 30, 2015 by SherylPosted in Food, recipesTagged celery, soup. That recipe sounds delicious – perfect for a cold night! Going to make this weekend! Thanks for sharing. There’s nothing like a good hot soup in winter. Sheryl, this sounds delicious. And I like your conjecture about why your Grandma didn’t write that day. That soup looks great, I have never seen egg in soup except for egg drop! yummy! 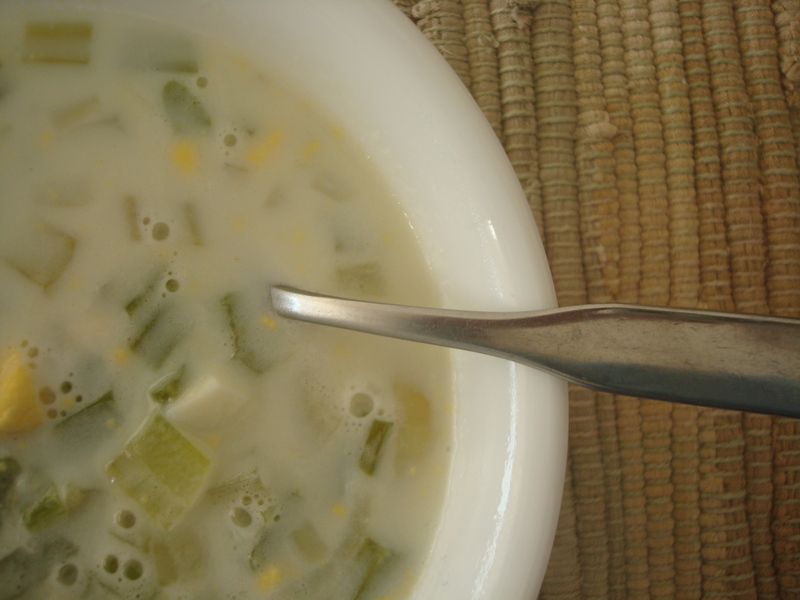 Several old “Pennsylvania Dutch” soups include egg. Chicken corn chowder is a popular soup in central Pennsylvania that is often served a community festivals and it often includes hard boiled egg. Eggs were probably plentiful and added a bit of protein. The soup sounds tasty. That makes sense. Many families back then would have had their own chickens.